Stunning New Fashions From Her Universe! 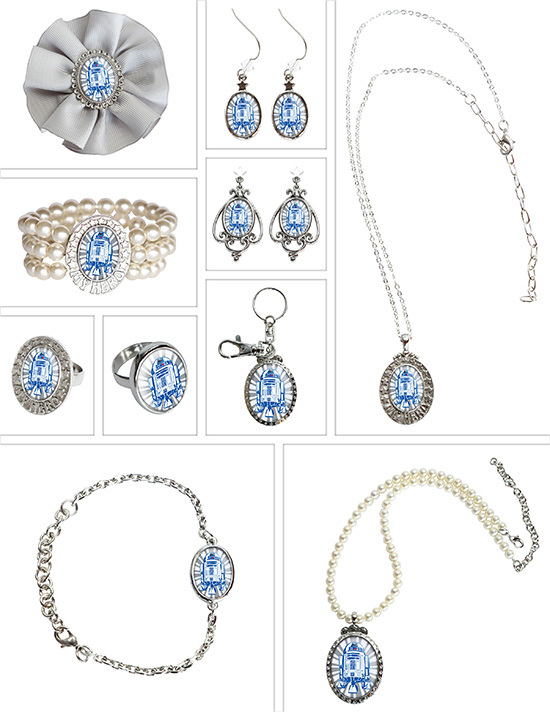 Debuting at Star Wars Weekends May 16th thru June 15th, Her Universe has made the jump to hyperspace with some out-of-this-world gorgeous new pieces, including a new collection she’s been hinting at for the last few weeks, a high-end jewelry line! Her Universe partnered with The Sparkle Factory to create their new high-end jewelry line. 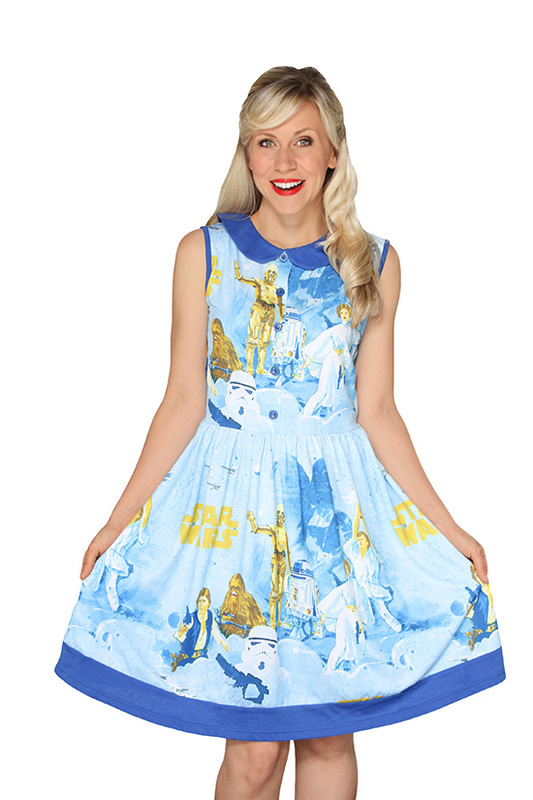 The debuting first collection is called “My Hero Collection” and features everyone’s favorite astromech. Those attending Star Wars Weekends will have the opportunity to get the SWW Exclusive R2-D2 “My Hero Collection” designer keychain. There will only be 300 pieces sold, so you better be quick! This new line of jewelry is an exciting new chapter in Her Universe’s mark on the world of fashionable geek apparel and accessories. So is the new retro style dress featuring the iconic 70s bed sheet print. Making dresses out of bed sheets is a well known staple amongst the geek fashion community, as for decades they were usually the only source of geek themed fabric available, and ready-made dresses made out of geeky prints was just a dream! I find this dress from Her Universe a touching and appreciative nod to the history of fangirl fashion. 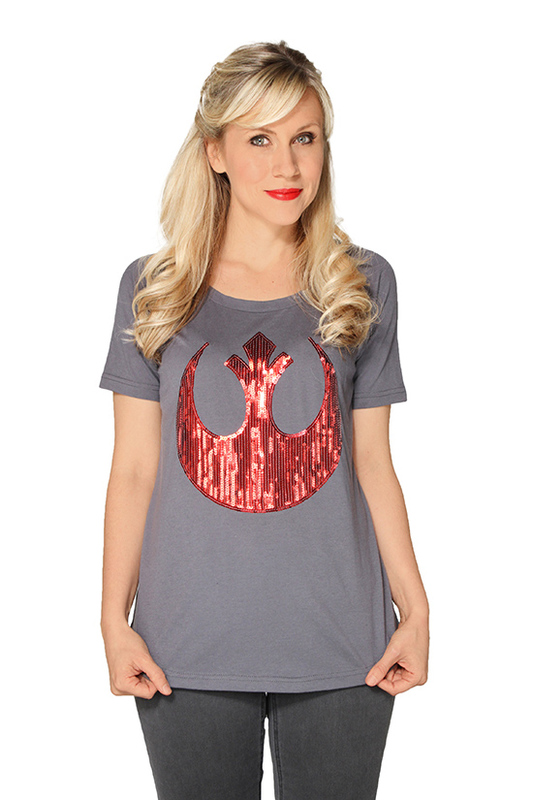 Already a huge fan of the Rebel and Imperial logo tanks Her Universe released awhile back, these new sequined pieces are wonderfully stylish and sure to turn heads. As will the new black and white leggings featuring a sharp, fashion forward design of the Imperial Cog, Stormtroopers, and Darth Vader. 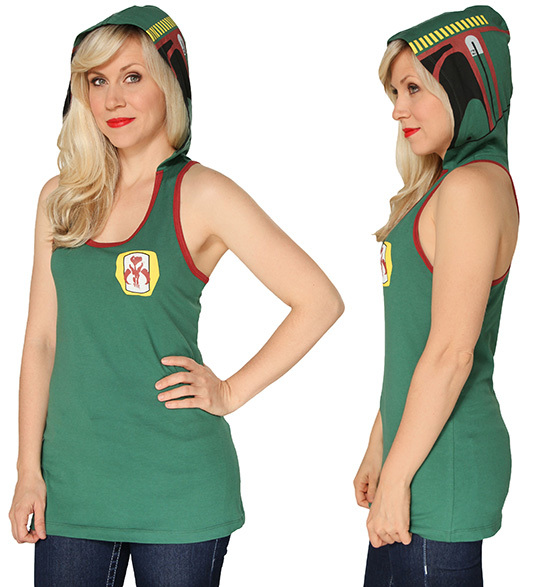 If the Rebel Pilot hooded tank wasn’t your style, this Boba Fett one might be just what you were waiting for. Featuring the iconic Mythosaur skull and Fett helmet imagery, it’s a perfect blend of geek and chic. I especially love the contrasting red trim on the arm and neck holes. My personal favorite is this Ewok hooded tank. A little bit costumey, a little bit chic, and a whole bucket of adorable. Both Lindz and I can’t wait to get our hands on this top! The new “My Hero Collection”, as well as this new line of apparel, will be available on the website starting May 19th. All pieces will retail for under $100. Check out the full press release HERE with images of all the new pieces coming out, including cute new skirts, and a plus sized top! Star Wars Style Challenge: Winners!